Located in Dorval on the island of Montreal, Montréal-Trudeau Airport (full name: Montréal-Pierre Elliott Trudeau International Airport, airport code YUL) is the province's major international airport and one of the busiest in the country behind Toronto and Vancouver. 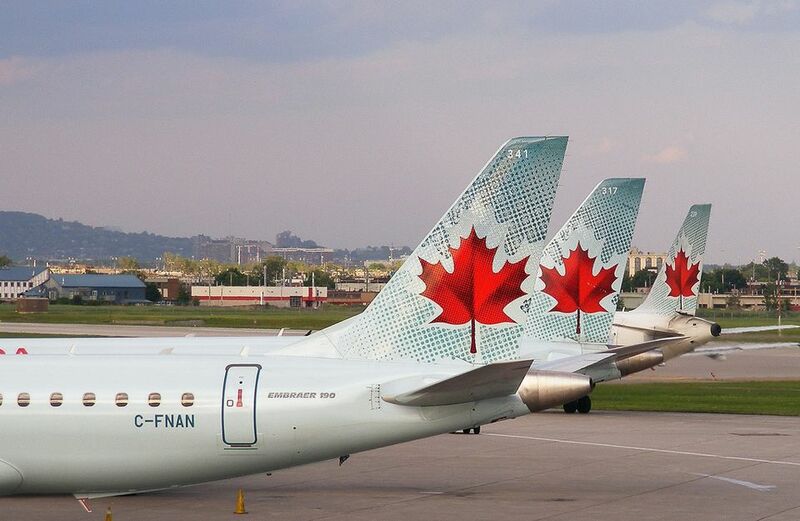 Located about 13 miles (20 kilometers)—a 25-minute drive—outside of downtown Montreal, Montréal-Trudeau Airport (the former "Dorval International Airport" has been renamed after Pierre Elliott Trudeau, Canada's 15th prime minister) is a hub for travelers visiting the province of Quebec and the Maritimes. Public Transit: Society in Motion, or STM, is Montreal's public transportation service. STM operates the 747 bus line, which provides 24/7 service between YUL and the central bus station (Gare d'autocars de Montréal – Berri-UQAM métro station). Travel time may vary between 45 to 60 minutes, depending on traffic conditions.The STM information counter is located in the international arrival area or find an STM representative near the bus stop outside the airport. Note that if taking the 747 to the airport, you must purchase a ticket ahead of time at a metro station or Montreal tourist centre, the bus terminal or have exact change (no bills) to pay when you board. Taxis and Limousines: All airport taxis and limousines are required to have permits and operate according to specific terms and conditions. Limousines are comfortable sedans, typically black, that operate similarly to taxis, but offer a higher standard of service and newer vehicles. There is a minimum fare of roughly half the fixed rate for trips to other destinations outside of the downtown core. The trip to downtown Montreal will take about 30 to 40 minutes.Taxis and limousines are located at the arrivals level near the central exit; a dispatcher will assist you. To return to Montréal-Trudeau Airport, taxis will generally charge you the metered rate. Rental Cars: Montréal-Trudeau Airport has several rental car companies on-site on the ground floor of the multi-level parking facility in front of the terminal. Regional Shuttles: Service between Montréal-Trudeau Airport and popular destinations near Montreal, such as Ottawa Trois-Rivières, Ste-Foy, Québec City is available. Getting from Montréal-Trudeau Airport to Mont-Tremblant: Skyport offers a shuttle service between the airport and Mont-Tremblant during the summer and winter season. During the summer, the Skyport shuttle service is by reservation only. Reservations can be made either online or by calling. The Skyport shuttle departs from post 7 on the international arrivals level. Have you considered other airport options? Two other airports on the U.S. side of the Canada/U.S. border may be convenient to your visit to Montreal and cheaper. The Burlington International Airport in Vermont is about 2 hours away and the Plattsburgh International Airport in New York, which markets itself as "Montreal's U.S. Airport," is even closer.